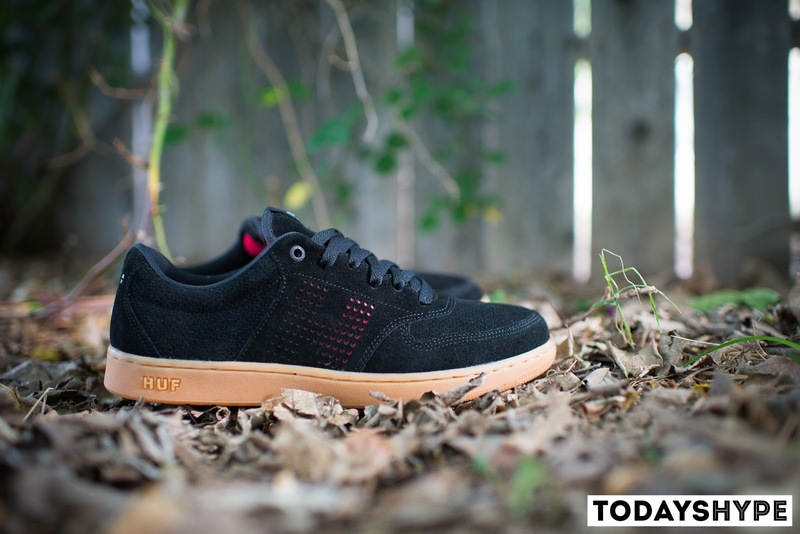 One of HUF's most overlooked sneakers in our opinion is the "Noble". 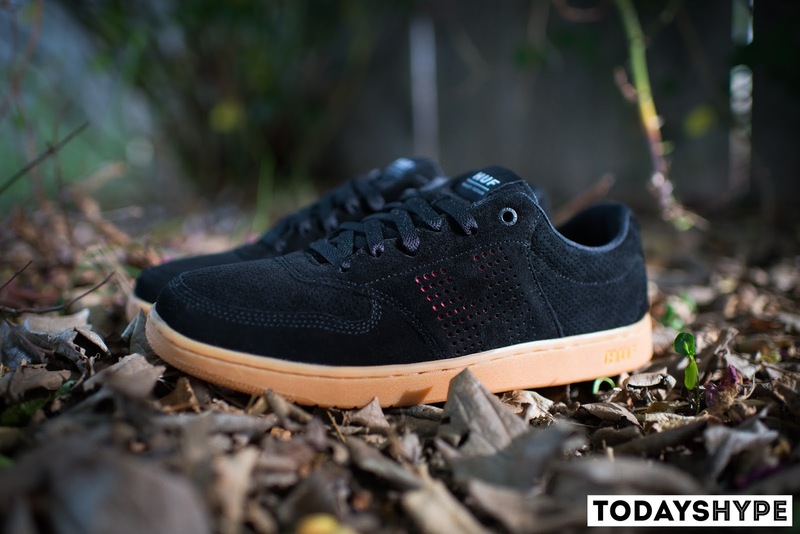 The shoe itself is easily one of the most sturdy and clean options you can find anywhere when it comes to the "skate" shoe. 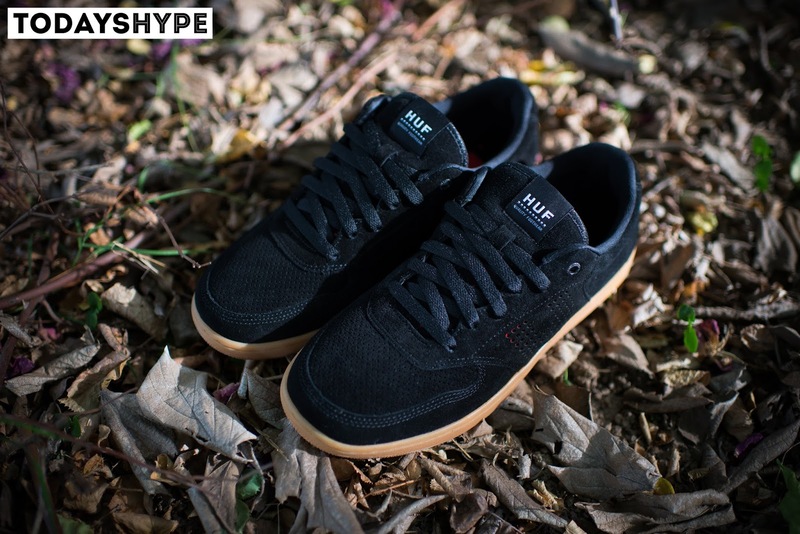 Thankfully HUF showed the model a little love in their latest Summer Footwear drop and blessed us with a pair of the new Black/Gum colorway that is definitely a skate shoe essential. 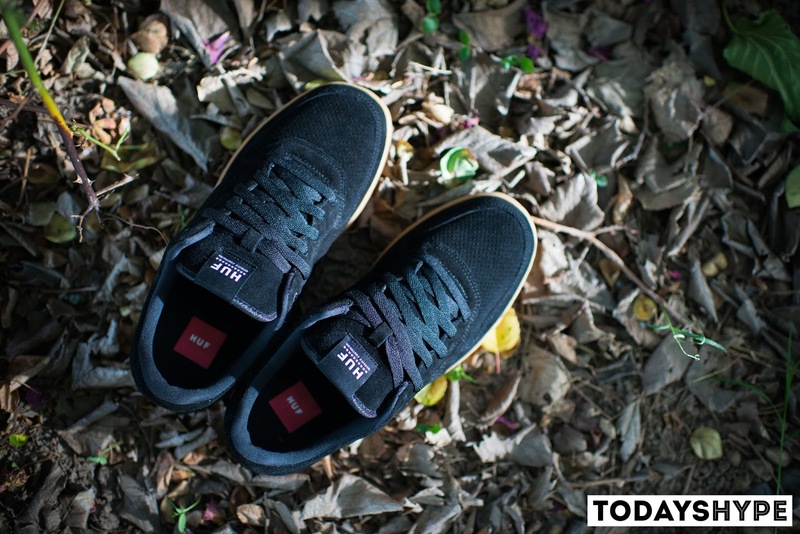 The shoe features an all black premium suede upper that is buttery to say the least. Not only is the shoe itself very soft to the touch but it can still hold up to the daily abuse that you throw it's way while on your board. 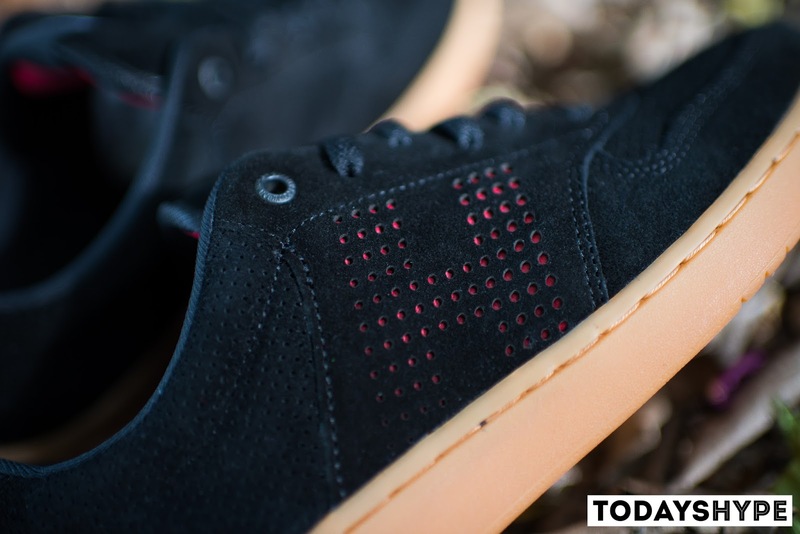 The "H" logo also features a dope Red fade look to it that gives the shoe that needed pop to make it stand out from the very crowded Black/Gum colorway that has been around since skate shoes were born. 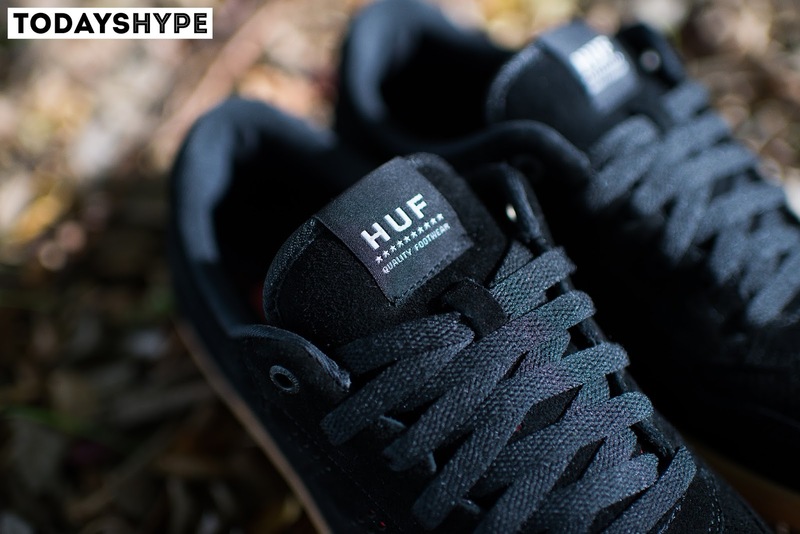 Tonal black laces and white HUF branding at the tongue all sit on a thick Gum sole that also features HUF branding at the heel. 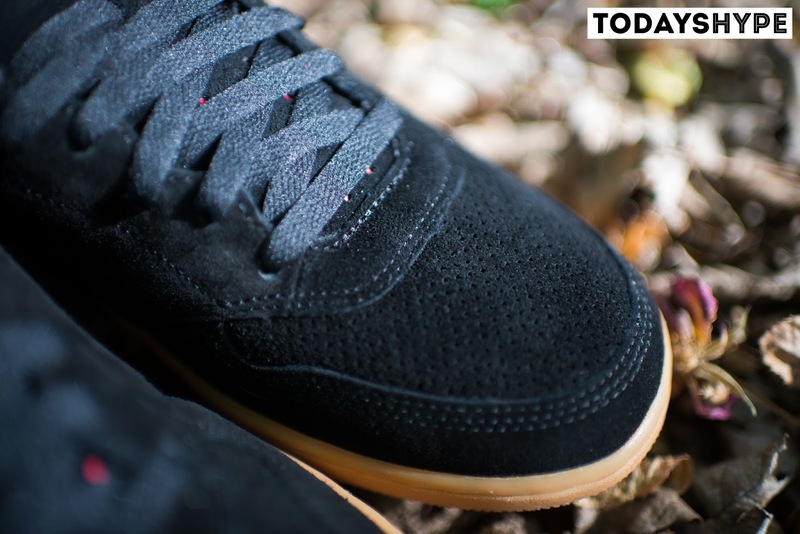 If you are a true fan of the classic throwback skate shoes from years ago then the Noble is definitely something you should look into with its timeless lines and tried and true construction that can take anything you throw its way. Make sure to head on over to the HUF online store here to pick up a pair now and continue below for some detailed shots of the shoes.